Here’s a project to dazzle onlookers at Halloween parties, cosplay conventions, raves or at Burning Man. 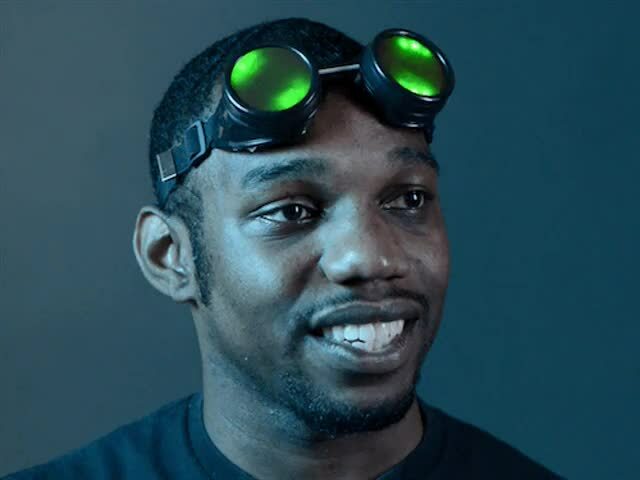 These full-color animated LED goggles attract a LOT of attention! 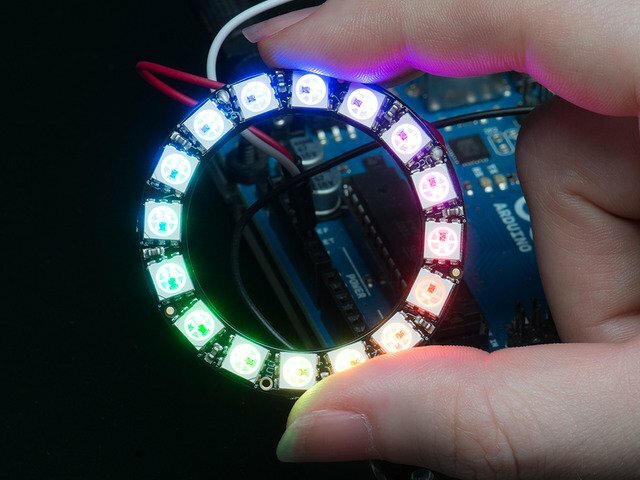 Adafruit NeoPixel LED rings fit perfectly inside the eyecups of most 50mm round goggles — a very common size. It’s almost as if these rings were made with this project in mind! This is a soldering project, albeit a small one. You will need the common soldering paraphernalia of a soldering iron, solder and tools for cutting and stripping wire. You’ll need some method of securing the electronics inside the goggles. Hot-melt glue (with a glue gun) works well for this. Watch your fingers! 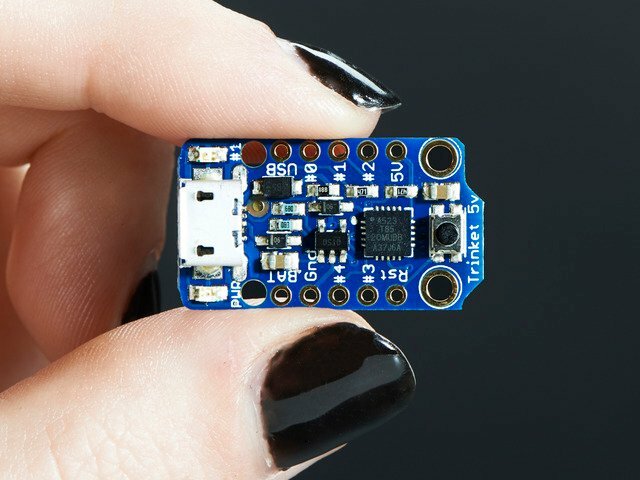 Or craft glue (such as E6000) is an Adafruit favorite. Tape could be used for a quick and temporary setup. We have a DIY kit with all the necessary pieces (including goggles), or you can “bring your own goggles” for a custom-made design. 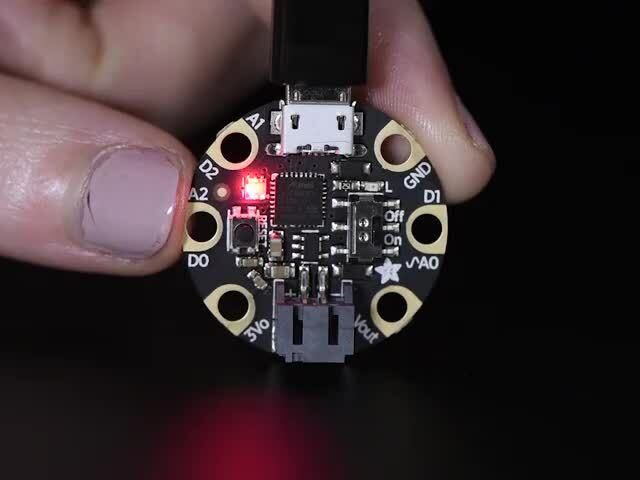 The kit version includes our costume goggles, two NeoPixel rings, a Trinket M0 or Trinket Mini Microcontroller, JST connector, rechargeable 150 mAh LiPoly battery, enough wire for all the connections, plus a USB battery charger. 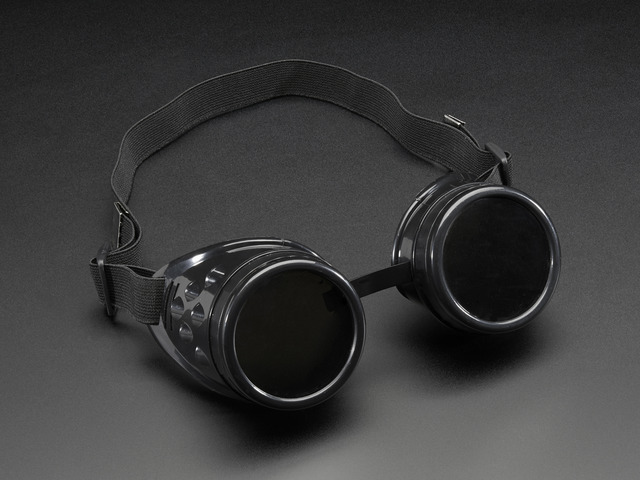 If you already have a favorite pair of goggles that you’d rather build this around (these German goggles from Restoration Hardware are pretty cool), then you just need to add the electronic parts linked above. You also then have the option of stepping up to a larger 500 mAh LiPoly battery or a less costly 3x AAA battery case. 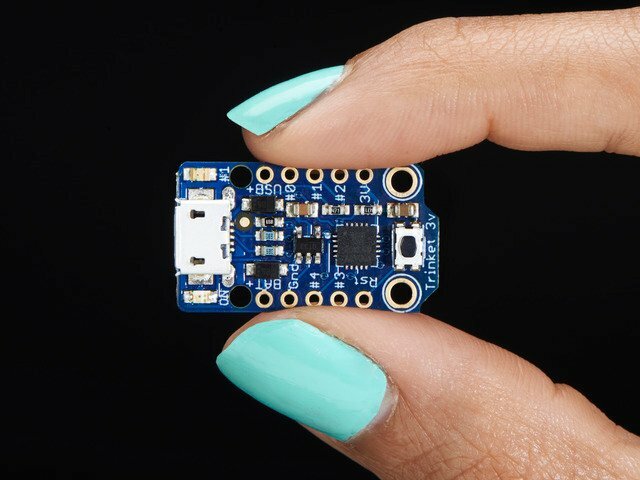 You’ll need to provide your own wire and perhaps some heat-shrink tubing. An assortment of goggles…the ones in front are safety and welding goggles, while the two in back are costume shop and toy store finds. Yet they all use 50mm round lenses! If you go the custom route, the design must be adapted to fit your reality. Great thing about our costume goggles is that you can assemble all the electronics first, outside the goggles, then install them. That’s not always the case with these alternates…you may need to snake wires in and out of the eye cups and solder parts with them already in the goggles…this can be tricky! 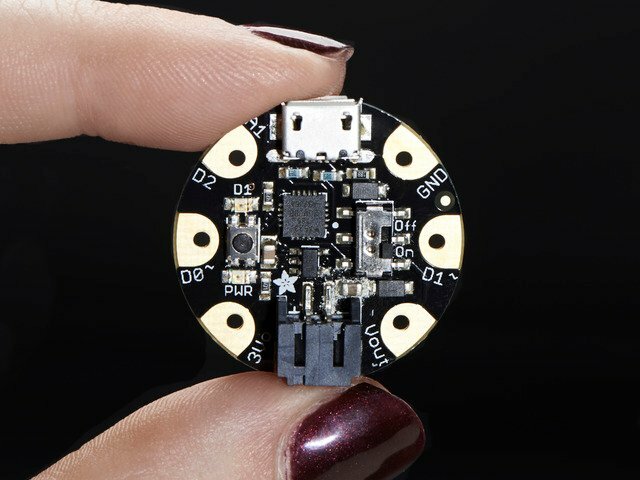 Soldering novices may prefer the kit version for this reason. If you choose a 3x AAA battery case (instead of a rechargeable LiPoly battery), it won’t fit inside the goggles. This could be attached to the strap, or run longer wires and keep the battery pack in a pocket. Can I use a Gemma instead of a Trinket? Absolutely! 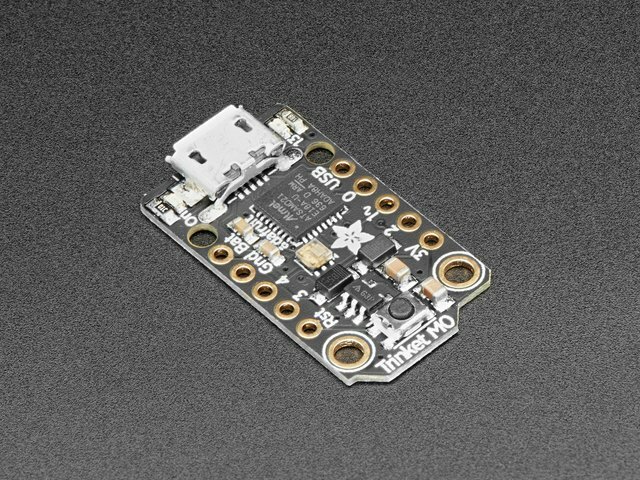 You won’t need the extra JST connector for the LiPo battery — Gemma M0 and the earlier Gemma v2 have has one built-in. The board is a bit wider and might be more challenging to fit, but one option is to show it off rather than conceal it, mounting the board on the outside of the goggles near one temple. Geek pride! This guide was first published on Sep 13, 2013. It was last updated on Sep 13, 2013. This page (Overview) was last updated on Apr 19, 2019.